results should help you to decide how much of an adjustment is needed. can then be opened (Fig. 8). remain in the display (See Fig. 7). 1. The Self-Clean feature will not operate whenever a radiant surface remains ON. 2. A Self-Clean cycle cannot be started if Oven Lockout feature is active. seconds. The red cooktop lock icon will disappear from the display. Then set for another Self-Clean cycle to finish. 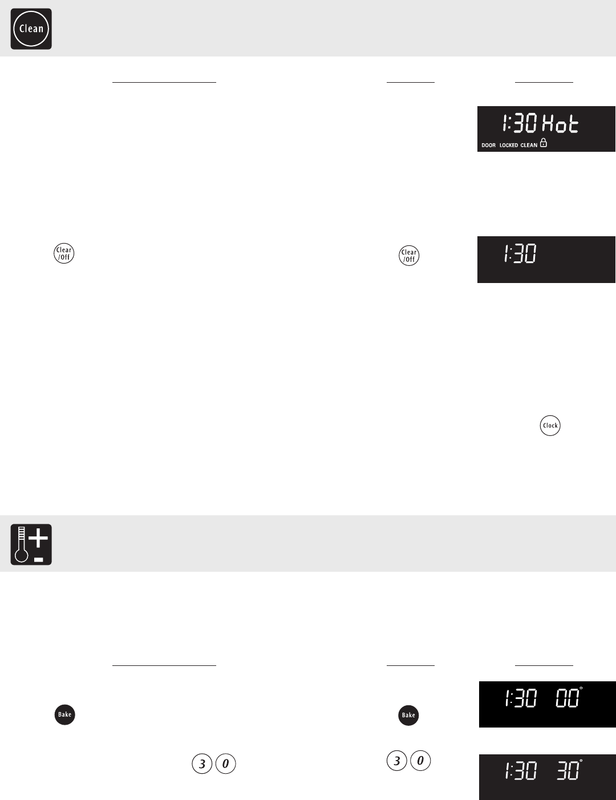 control for the 24 hour time of day display mode. 1. Press for 6 seconds (Fig. 1). temperature may be increased as much as 35°F (19°C).